Douglas County School District v. Taxpayers for Public Education. The Becket Fund for Religious Liberty (n.d.). Retrieved from https://www.becketlaw.org/case/douglas-county-school-district-v-larue/. Douglas County School District v. Taxpayers for Public Education. (Apr. 04, 2019). https://www.becketlaw.org/case/douglas-county-school-district-v-larue/. "Douglas County School District v. Taxpayers for Public Education." The Becket Fund for Religious Liberty. Accessed [Apr. 04, 2019]. https://www.becketlaw.org/case/douglas-county-school-district-v-larue/. In 2011, Douglas County, Colorado created the Choice Scholarship Program to help low-income families send their children to a private school that best suits their child’s needs, some of which are religious schools. But in June 2011, the ACLU, Americans United for Separation of Church and State, and several Colorado organizations and taxpayers sued to stop the scholarship program. The court ended the program, ruling that it violated the state constitution’s Blaine Amendment, an arcane anti-religious provision adopted in the mid-19th century and originally used to discriminate against a growing wave of Catholic immigrants in the U.S. In April 2012, Becket filed an amicus brief in the Douglas County School District appeal, shining a spotlight on the Colorado Blaine Amendment’s ugly past and its unconstitutional treatment of children in religious schools who simply wish to be treated the same as children in secular schools. The Institute for Justice defended the county. 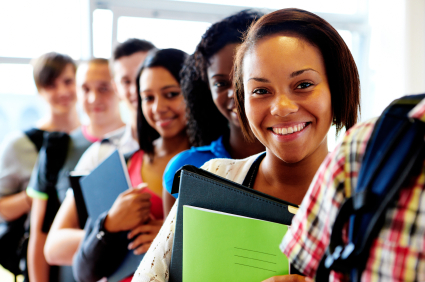 In February 2013, the Colorado Court of Appeals ruled in favor of the scholarship program. The court wisely avoided relying on the Colorado Blaine Amendment, refusing to invoke its nefarious history. Yet in June 2015, the Colorado Supreme Court overturned the court of appeals decision, interpreting the Blaine Amendment to prevent scholarships from going to students who wanted to attend a religious school. In October 2015, Douglas County appealed to the Supreme Court.